A group comprising Far North Holdings, Northland Inc, The Ministry for Primary Industries, the Ministry of Business, Innovation and Employment and planning and economic development experts is investigating the potential for a proposed innovation and enterprise park on State Highway 12 east of Kaikohe. Initial work is being funded by $890,000 from the Provincial Growth Fund. This will help develop a business case study, site assessment, preparation of applications for a private plan change and resource consents, and initiating discussions with potential occupants, tenants and partners. We have already identified opportunities for businesses in the honey processing, botanical oil extraction, bio-fuel energy and horticulture sectors. Early interest from businesses in these areas had been encouraging and in some cases conversations are relatively advanced. The proposed Ngawha Innovation and Enterprise Park will be very close to Top Energy’s Ngawha geothermal power station. Lower cost land and reduced-rate electricity that Top Energy could provide is of significant interest to a number of businesses in existing, new and emerging sectors of the economy. The site is 90 minutes by road to New Zealand’s only natural deep-water port, Northport, and less than 30 minutes to Bay of Islands Airport. Highly productive agricultural land lies within a radius of 60 minutes by road. Kaikohe also lies within a part of rural Northland that would most benefit from the economic stimulus that the proposed park would provide. The proposed park will cater for potential tenants whose activities will complement, rather than compete with, already-established local businesses. We are eager to see activity that will expand the economic potential of the region and add value to existing businesses by helping them extract greater value from their operations. Our focus is on innovation and enterprise. The working group wants as much of a ‘closed loop’ design as possible. This will be achieved partly through the development becoming home to enterprises that could use the waste and unwanted by-products of other businesses on the site. The proposed innovation and enterprise park is being designed to be as self-reliant as possible, to avoid placing additional demand on already-stretched community services such as potable water, raw water, waste water treatment and waste management services. 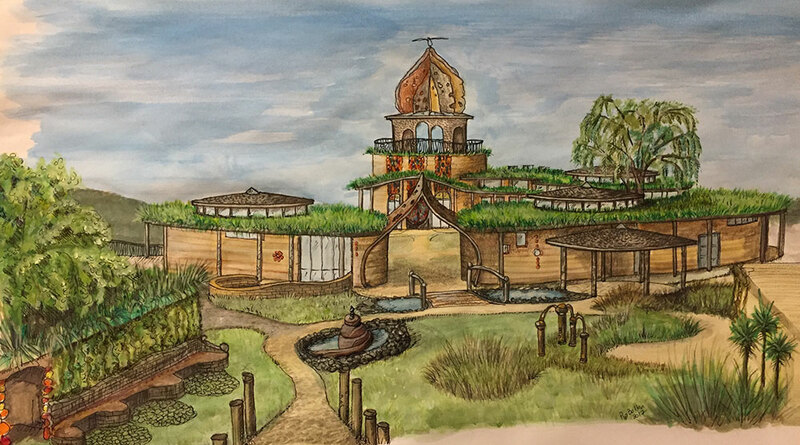 The entire concept of the proposed park respects and enhances as far as humanly possible the environmental, ecological and cultural aspects of the area. The working group is already working with local hapū Ngāti Rangi on one potential opportunity. We have started discussions with Te Rūnanga-Ā-Iwi O Ngāpuhi and hopes for the rūnanga’s ongoing involvement. We intend that the proposed park will have a strong focus on skills development and pathways to employment. One of the obvious benefits of siting the proposed Ngawha Innovation and Enterprise Park near Kaikohe is its potential to bring significant numbers of jobs and training opportunities to a part of the country that desperately needs them. Preliminary discussions are already underway with the Department of Corrections, local community trusts, and local and national educational institutions about working with potential investors in the area to develop a pool of skilled labour. This will help equip local people with relevant skills and qualifications that are transferable anywhere in the world, opening significant doors for the young people of the area particularly. Stage one of the proposed project is due for completion by mid-2019. If a decision is taken at that point to proceed, stage two will involve making a start on the site’s physical development. Far North Holdings already owns the land on which the proposed park would be built. A website (ngawhapark.nz) has been created where detailed information about the project will be stored once this has been made available. 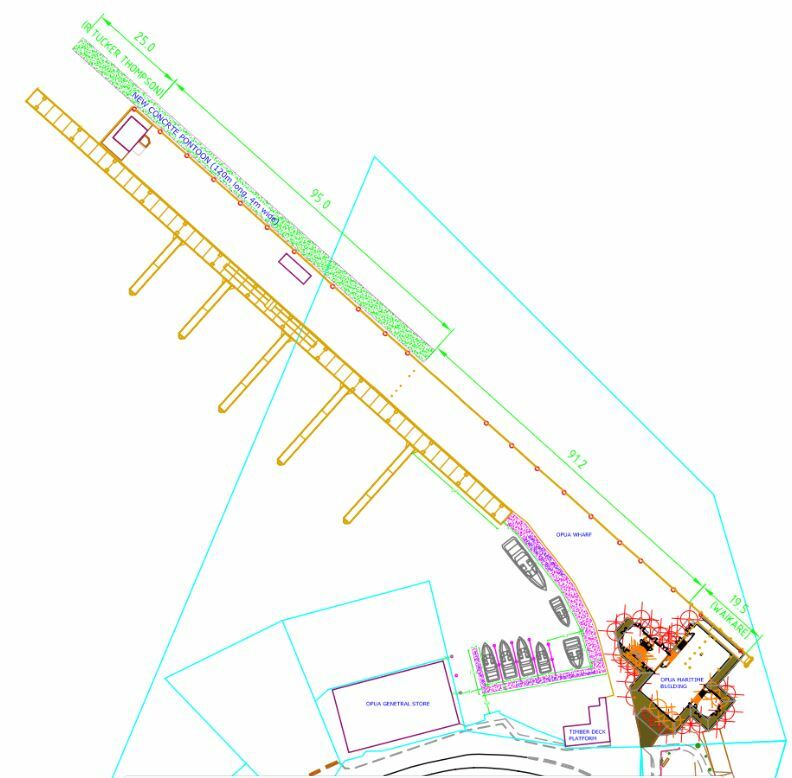 We are expanding the Bay of Islands Airport terminal building and modernising the facilities here. The bigger, better and altogether lovelier airport will have roomier departure and arrival areas, and a separate luggage collection area. The terminal upgrade project is expected to cost $4.75 million. This includes a $1.75m grant from the Provincial Growth Fund that has enabled the inclusion of a baggage screening area to future-proof the new terminal against requirements for such a facility by CAA. Passenger numbers have grown by a third since Air New Zealand started flying larger aircraft on the Auckland-Kerikeri route, with a record 110,115 people flying into or out of the airport last financial year (1 July 2017 to 30 June 2018). Paihia Wharf is one of New Zealand’s busiest, in terms of passenger traffic, after those in Auckland’s Viaduct. It is by far and away the most important piece of infrastructure in the Far North district after our roads and our electricity network. It underpins the Bay of Islands’, and therefore Northland’s, tourism economy. The wharf is the gateway infrastructure for hundreds of thousands of tourists each year wanting to experience the Bay of Islands. It is our marine transport hub. Without it the economy and the Bay of Islands’ attraction as a destination would be severely impacted. It needs to be looked after, cared for and upgraded as necessary. The wharf is exposed to a wide range of elements as well as, of course, the sea. The existing infrastructure is worn and in average to poor condition. The main components of the structure were built in the 1990s using mainly steel pontoons which rust, have high maintenance costs and are reaching the end of their usability. Furthermore, it was never designed for the demands that are now placed on it. Today there are 38 maritime businesses all operating from the wharf, it is the terminus for the Paihia to Russell passenger ferry, and charter vessel and cruise ship passengers comprise the bulk of more than 1.3 million movements across the wharf each year. Income generated by the wharf covers maintenance but not capital replacement or upgrade. The upgrade funded by the PGF will enable Far North Holdings to widen the main wharf walkway which is currently heavily congested three times a day. This will result in a much more open and pleasant experience, allowing the public to better enjoy the wharf. 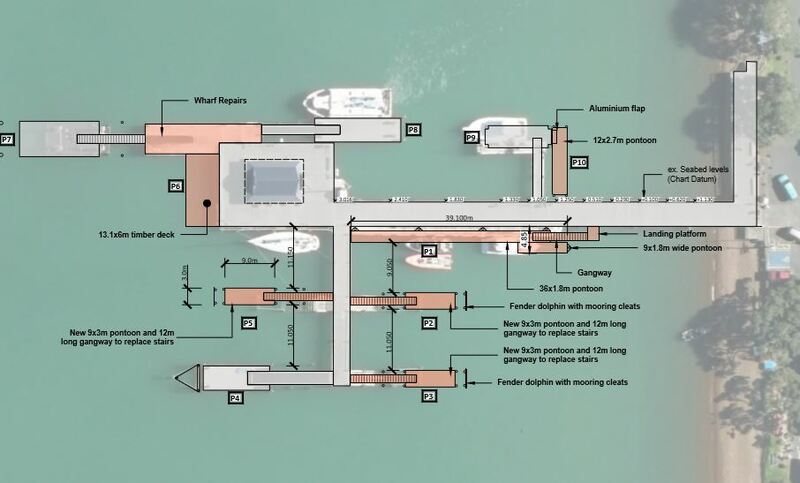 A public dinghy dock will be built, and an additional two pontoons installed to provide four extra berths. A sewage pump will be installed on the fuel jetty to relieve pressure at the Opua pumping station and to encourage vessel masters to pump out holding tanks there instead of at sea. Consent for this work, much of which is permitted activity, has been lodged. Dredging consent is already held. We envisage a six-month construction period over the 2019 winter period to avoid inconvenience to wharf users and the customers of the businesses operating here. Work is expected to be complete by the end of the year. Work on the $1.281m Russell Wharf upgrade project, contracted to Bellingham Marine, will start on Friday 26 April 2019 and is expected to last until the end of August. The Provincial Growth Fund has contributed $1.114m to this project. Work will start after Easter and avoids interfering with the operation of the wharf during the peak tourism season. Far North Holdings has consulted with regular commercial users of the wharf and has agreed a schedule of works to ensure that the wharf remains operational during this period. All elements of the wharf upgrade have been subject to extensive community consultation and Far North Holdings has incorporated changes that include some the feedback received. The company has agreed to a request from Kororareka Marae to delay the construction of the proposed new wharf building until such time as the new entity that will represent the community in the joint management of the wharf has been established. 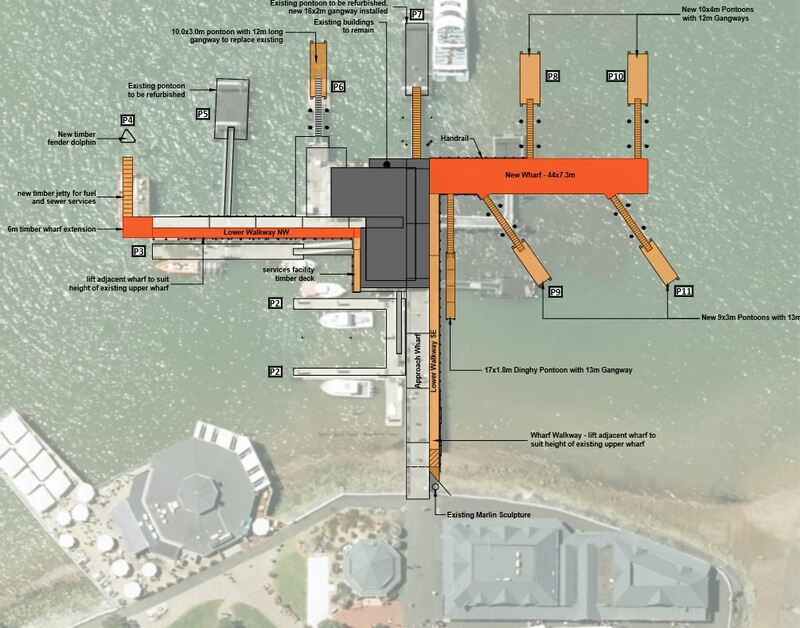 Kororareka Marae has concerns over toilets being incorporated in the new wharf building (a requirement of building consent) and about the sewerage pump-out station for non-commercial vessels that had previously been incorporated in plans for the upgrade of Russell Wharf. The marae has expressed cultural concerns around the issue of sewerage over water. A ‘hold’ on work relating to these facilities will enable further discussion on these matters with the new joint wharf management entity that will represent the Russell community. Other consented work programmed for the wharf, funded through the PGF (see image below), will start as planned on 26 April 2019 with the agreement of the community and the marae. Far North Holdings was asked by the local organisers of the 2019 Tuia – Encounters 250 commemorations of the 250th anniversary of Captain Cook’s first landfall in Aotearoa to provide a hosting and events platform for the regatta. This is a legacy project which will support and encourage other revenue-generating events in the Bay of Islands, such as the recent Tall Ships Regatta and the Millennium Cup superyacht racing event held in conjunction with NZ Marine and ATEED. It will also extend the way in which the Opua community is able to use the wharf. Far North Holdings intends for it to become another venue option for Opua community events and initiatives of all sizes. Along with the new and improved facilities at the marina we hope that the pontoon will become another drawcard that enables the local community to make better use of, and get improved enjoyment from, the Opua waterfront. Having a facility like this in Opua will be a significant step forward in our strategy of developing the port into one of the South Pacific’s leading marine service hubs, along with all the attendant employment, wealth creation and social benefits this brings with it. The pontoon will enable the Bay of Islands to host and service superyachts to an extent that is simply not possible today. The absence of purpose-built regional facilities limits the interest in New Zealand as a destination among superyacht owners and skippers and discourages them from cruising New Zealand waters. Demand for this hosting and servicing is expected to be substantial in the lead up to, and during, the America’s Cup. There are more than 30 superyachts already registered to attend, and seeking berthage for, the America’s Cup build-up. Around 160 superyachts are predicted to pour into New Zealand in the 2020-21 summer; each spending on average $2.7m during their stay, according to a report carried out by NZ Marine, the industry association. The new concrete pontoon will be 120 metres long and four metres wide. It will sit to the eastern side of Opua Wharf and will extend out as far northwards as the existing boardwalk on the western side. Bellingham Marine will start work in May 2019 on the $1.447m pontoon. Completion is scheduled for August. The Provincial Growth Fund has contributed $890,000 to this project. 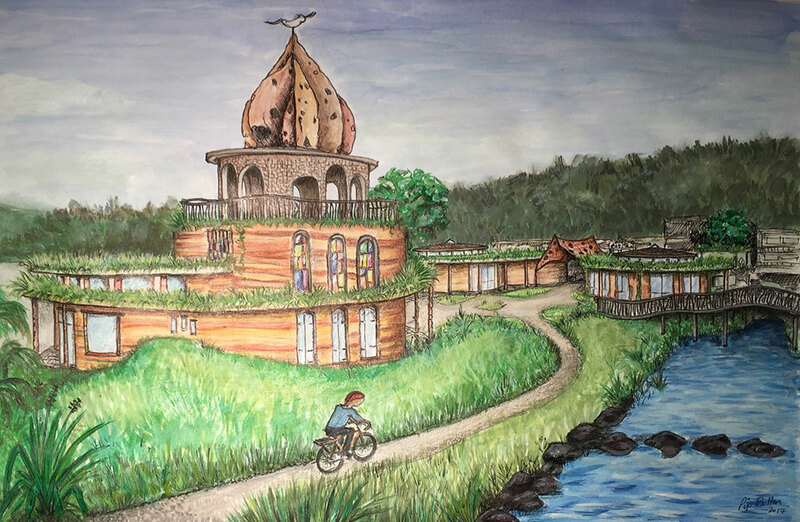 The town of Kawakawa in the Bay of Islands is set to be transformed through the creation of a new arts, culture and environment Centre that celebrates the town’s connection with Austrian artist Friedensreich Hundertwasser and the rich culture in the area. Friedensreich Hundertwasser built the now world-famous Hundertwasser toilets with the local community and this, his last and only building in the southern hemisphere, opened in 1999, just months before he died. The project’s instigator is the Kawakawa Hundertwasser Park Charitable Trust, which established the vision in 2008 and has a clear charitable charter. The Trust is working in partnership/co-governance with Ngati Hine to create a truly unique visitor experience for locals and visitors alike, with a ground floor interpretive centre and memorial to Hundertwasser, a first floor gallery and community workshop, and a viewing platform looking out across the park. The Centre is to be officially known as the Kawakawa Hundertwasser Park Centre, Te Hononga, the joining of cultures. Far North Holdings has worked closely with the community and played a central role in enabling and facilitating the project, forming a Project Partnership Group with the local Hundertwasser Park Charitable Trust, Te Runanga O Ngati Hine, Kawakawa Business and Community Association, Bay of Islands-Whangaroa Community Board, Northland Regional Council and the Far North District Council. This economic regeneration initiative will enhance the town’s ability to benefit from the already significant flow of visitors attracted to the Hundertwasser Toilets, the Bay of Islands Vintage Railway and the Twin Coast Cycleway. The proposal sees demolition of the existing building adjacent to the Hundertwasser toilets, opening the site to a new town square and civic space, and to the community park at the back. This will make it safe and accessible for families to use, as previously it was not visible from the main road. It will also provide a real sense of place and community in the centre of town. The Far North District Council will relocate the public library and service centre into the new centre, ensuring good community use and ownership of the development and providing a sustainable anchor tenant for the project. The Centre will be a showcase of environmental building and design. A wider kaupapa of arts, culture and environment will be at the heart of the centre, its exhibitions and community programmes run by the Trust and Ngati Hine. 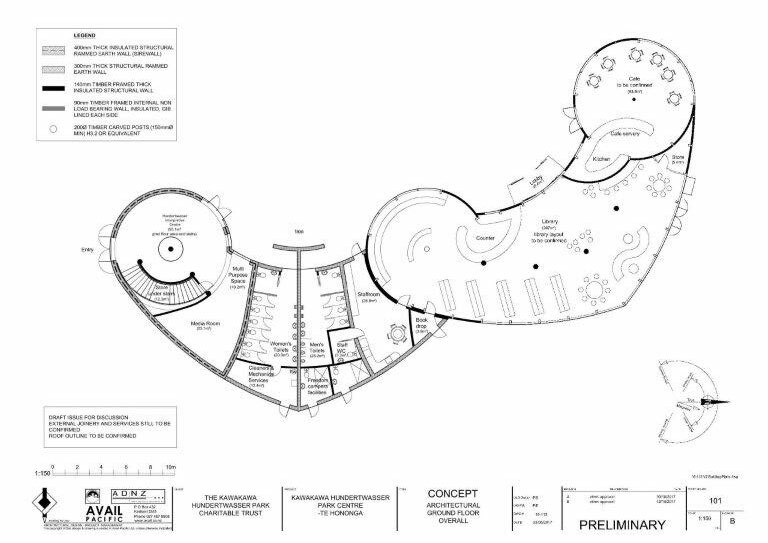 Facilities will also be developed for cyclists and freedom campers. These will include bicycle racks and coin-operated ablution facilities such as 24/7 showers and toilets. The community-driven initiative has been 18 months in planning and has required negotiation with multiple landowners. It now enjoys the firm support of the community, iwi, FNDC and NRC. Previously there was no acceptable access arrangement to this land that would allow the development to proceed. By working with an adjoining landowner, who was previously unable to develop his site as NZTA would not permit access/egress from State Highway 1, we have formulated a solution acceptable to all parties. A one-way system will be developed whereby access is through the landowner’s site and egress will be through the FNDC site. The improved coach and car parking at the rear of the site, owned and funded by Far North District Council, will ease congestion on SH1. It will allow coaches to be unloaded safely, and visitors will have access to the Kawakawa high street through the town square/atea. It is anticipated that cyclists and other visitors will spend longer in Kawakawa as a result of this unique building, the landscaped park and the town square/atea. This will boost revenue to many local businesses, provide a cultural experience in the heart of Kawakawa and serve the wider Bay of Islands and Mid and Far North communities. It will aid the creation of a regional Hundertwasser tourism circuit linking the Whangarei Museum, the Kaurinui development (where Hundertwasser is buried) and the original toilets/and Te Hononga in Kawakawa. This could be promoted both domestically and internationally. It will take advantage of the growth in cruise ship numbers in the Bay of Islands, and will become part of the coach circuit created for these tourists. The real foundation of the project is the community. Community ownership and use of the development is fundamental to its success. FNHL and the project partners have engaged with all sectors of the community. 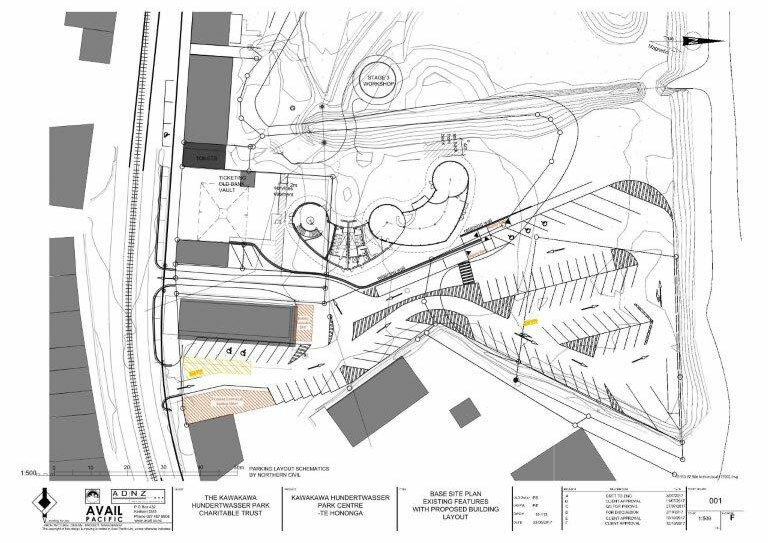 Everyone will have some involvement in the design and development of both the town square and the adjoining park to ensure they feel part of what will be a significant transformation.